Home / All TV Shows / Emerald Point N.A.S. When will be Emerald Point N.A.S. next episode air date? Is Emerald Point N.A.S. renewed or cancelled? Where to countdown Emerald Point N.A.S. air dates? Is Emerald Point N.A.S. worth watching? Emerald Point was created by Richard and Esther Shapiro and aired on the CBS network in the United States. 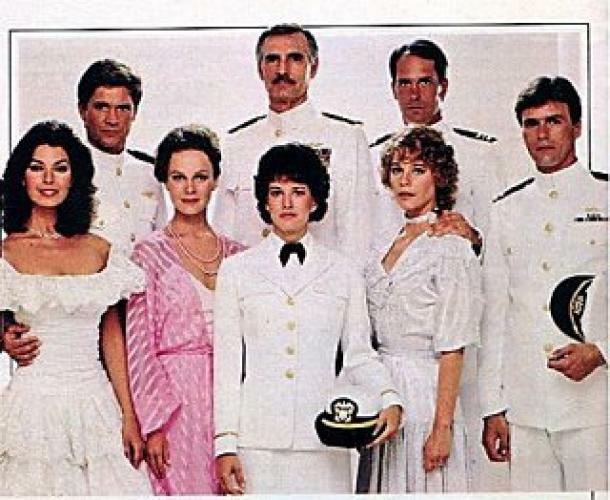 The series premiered on September 26, 1983. The series was set in naval air station and followed the life of Thomas Mallory and his family. It was not renewed by CBS at the end of it's first series. EpisoDate.com is your TV show guide to Countdown Emerald Point N.A.S. Episode Air Dates and to stay in touch with Emerald Point N.A.S. next episode Air Date and your others favorite TV Shows. Add the shows you like to a "Watchlist" and let the site take it from there.